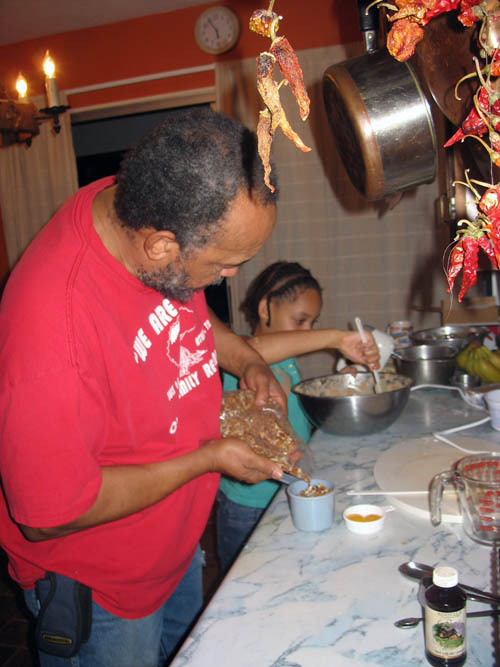 Granpa making cookies with Kylett. 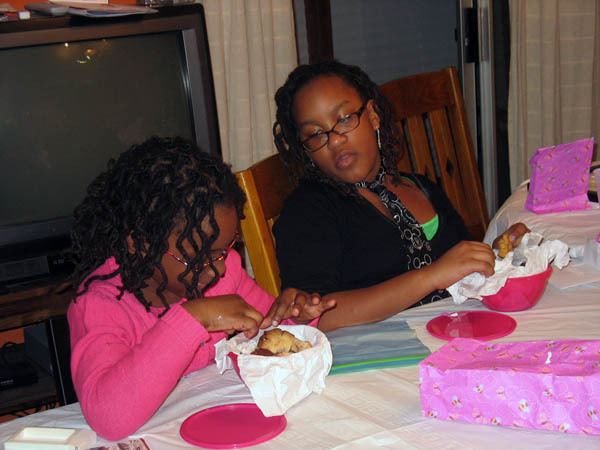 Hasina and abeo examining Christmas cookies by Ife. I am so behind in my Christmas calendar posts but today I realized I do have something to say about most of those I skipped so I am going on a posting binge today . I do not remember making Christmas cookies when I was growing up. When my children were growing up they would often bake cookies to give to the extended family for gifts and to eat, of course. 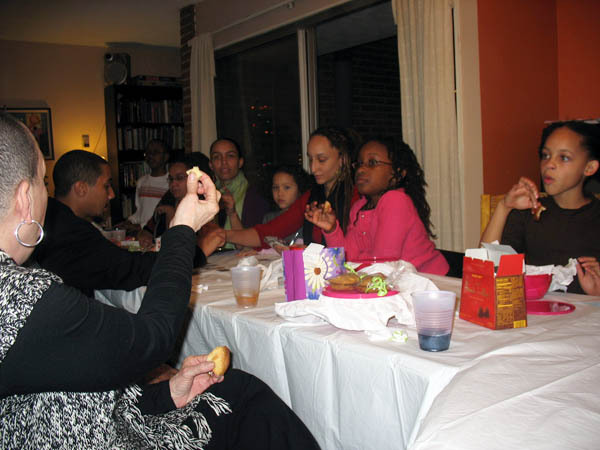 My grandchildren have joined this tradition and last Christmas cookies were baked and given and eaten. I expect the same will happen this year. Playing cards, talking and eating cookies Xmas 2009.